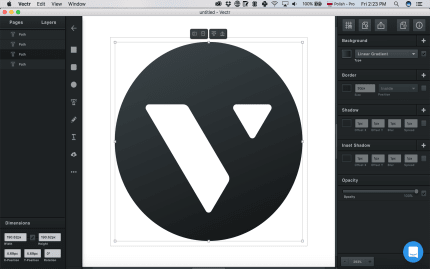 Vectr is a free graphics editor used to create vector graphics easily and intuitively. 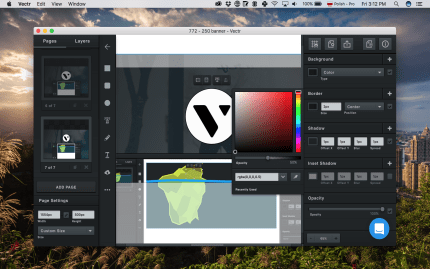 Vectr is a simple yet powerful cross-platform graphics editor to bring your designs into reality. Get started immediately without the massive learning curve. Whether you’re working on graphics for marketing, logotypes, icons, website UI designs, brochures or vector art, Vectr’s intuitive tools let you focus on what truly matters - creating beautiful graphic designs. 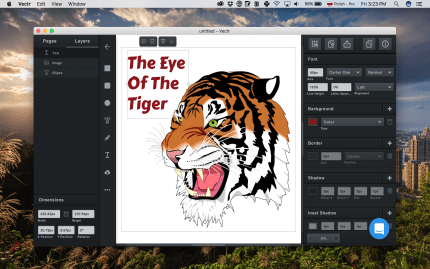 Vectr’s basic graphics editor is free forever. Cross Platform - use Vectr on the web, or download to your desktop: Mac, Windows, Chromebook or Linux. We'll automatically save and sync your work in real-time, across all platforms. Open Roadmap - Vectr's open roadmap is a living document where our community gets together to shape what Vectr will become. 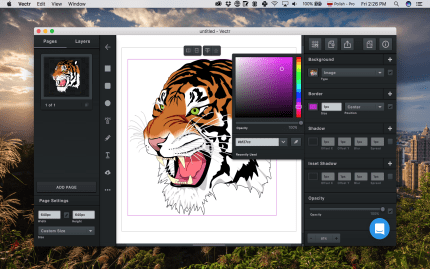 You may use Vectr anonymously, but we highly recommend signing up for a free account which is going to let you sync your designs between web and desktop. Currently, Vectr requires an Internet connection to work. In the future, however, we are going to make the app capable of working offline too. It doesn’t matter whether you’re a seasoned pro, or just getting your feet wet in design for the first time — you’ll be up and running with Vectr in no time flat.